Boca Raton, FL, April 30, 2011 … The Anti-Defamation League (ADL) has announced that Michael Freeling, of Boca Raton, has received a 2012 Daniel R. Ginsberg Leadership Award, which recognizes outstanding leadership in the fight against anti-Semitism, racism and all forms of prejudice. The annual award presentation was held on April 29th at the ADL Shana Glass National Leadership Conference, a gathering of nearly 500 Jewish community leaders in Washington, DC. “Michael Freeling has been an invaluable supporter of ADL, and we are thrilled and proud that his commitment of time and energy invested into ADL’s mission to fight anti-Semitism and prejudice of all forms was recognized on a national level,” said Andrew Rosenkranz, ADL Florida Regional Director. 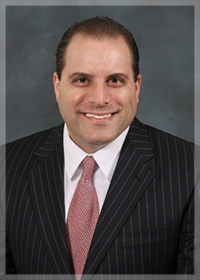 Michael Freeling is a partner at Bloom & Freeling in Boca Raton, which handles all aspects of civil law. He is a member of ADL’s Florida Regional Board, Professional Advisory Committee, Chair of ADL’s Law Enforcement Committee, and has vice chaired and chaired ADL’s Glass Leadership Institute. Since 1995, ADL has conferred the Daniel Ginsberg Leadership Award to outstanding individuals from around the country who demonstrate knowledge of, and working commitment to the policies and activities of ADL, as well as those who have the ability to add to the League’s deliberations at the national level. The award, named in honor of the late Daniel R. Ginsberg, a former New York Regional Board Chairman and ADL National Commissioner, is generously endowed by his friends and family. through programs and services that counteract hatred, prejudice and bigotry.